Did you know that according to the latest studies, people with a pear-shaped body who accumulate fat deposits predominantly in their arms and hips benefit from total body training the most? But for everyone who’s interested in maximising their workouts, total body workouts are incredibly useful. And getting the best rowing machine allows you to do exactly that. 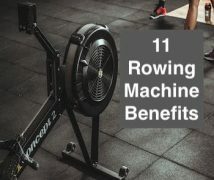 There are many great benefits of using a rowing machine. A reliable rower is very efficient for low impact workouts that combine toning, mass building, and cardio in different proportions. It exercises your legs, upper body, and core simultaneously, offering you a similar experience to the actual rowing movements. These things are interconnected and they also influence the importance of the characteristics below. For instance, if you want a gym-like piece of equipment that’s sturdy, durable, feature-packed and able to bring you fast results, you should be prepared to invest a bit more. On the other hand, if your purpose is general toning, you don’t need a rower with a lot of programs or resistance levels. If you want to see results fast, you need a machine that’s easy to customise and that offers a heart-rate monitor, as well as other monitored stats. It’s even better if you can set up a user profile and see data from all your previous workouts, to make sure you train effectively and smart. There are lots of things to consider in this category, like how durable and sturdy your machine is. 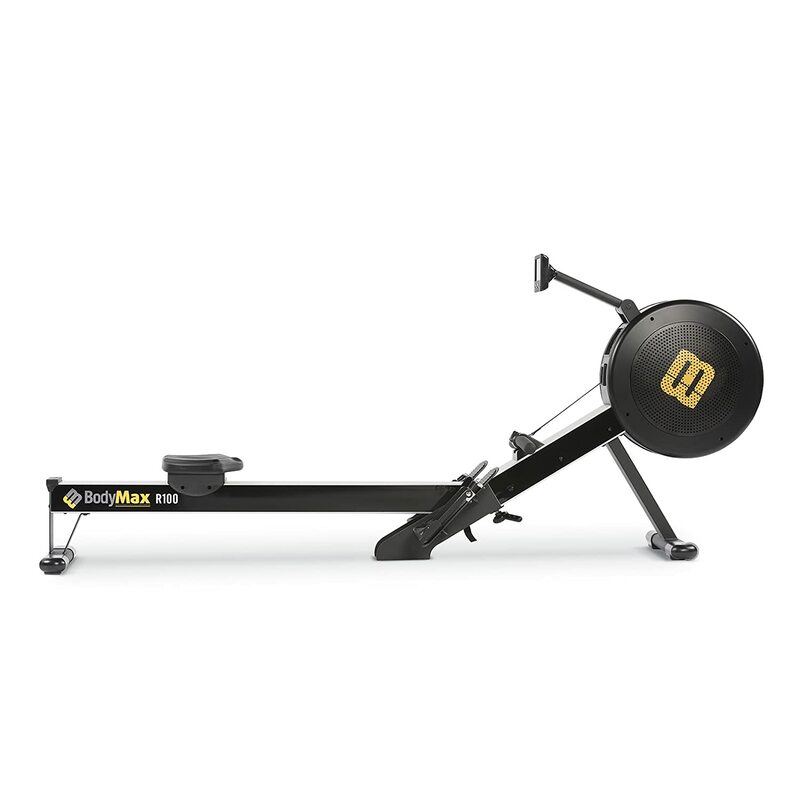 So if you’re planning to use it constantly, 4 – 5 days per week and if you’re big boned, you need a resistant rower, made from steel or aluminum, and with a high maximum user weight. Besides, if you have back issues, consider how ergonomic the machine is. If you’re tall, you need a full-stroke design. And if you want to store it away easily, check if it’s foldable and if it has wheels. The size of your rower can be an issue depending on whether or not you the have space for it. 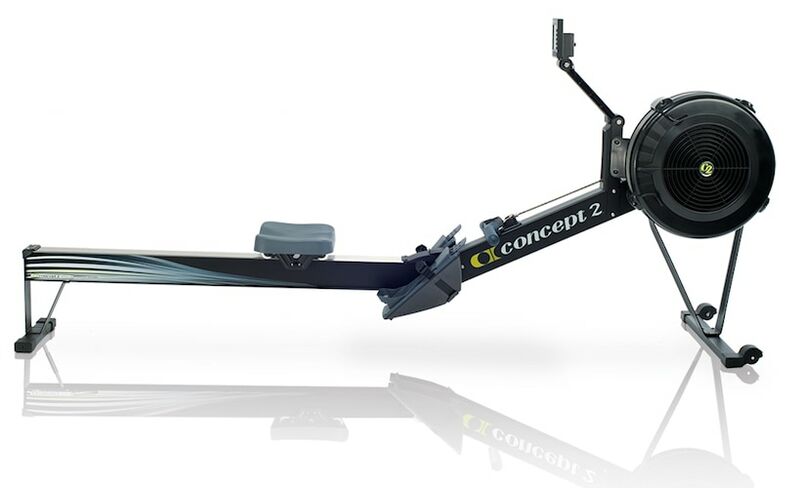 For example, if you want to store it away under your bed or in a cramped storage closet, you need a more compact rower. However, a heavier, bigger rowing machine offers increased stability, resistance and durability because it’s likely manufactured from sturdier materials. So if you have the room for it, and if you’re more heavily built, we’d recommend getting a bigger rower. There’s this whole debate on how many resistance levels you need and how the machine actually creates this resistance. Just to get it out of the way, even some of the less expensive products on the market feature about 10 different resistance levels. But arguably, these preset resistance levels might interfere with your workout because you can choose one that’s too easy or one that’s too hard and then self-sabotage your progress. 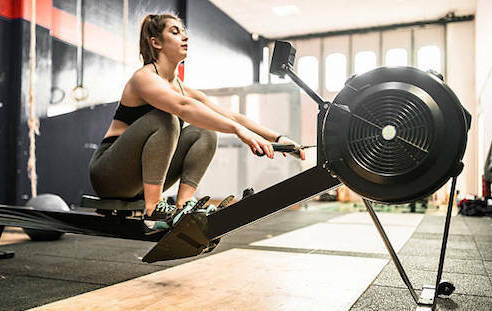 So a rower with a self-regulating resistance might be better from that point of view. But if you can’t get one like that, and want to exercise according to your fitness level, choose a rower with multiple resistance levels. Besides, it’s also important if your rower uses a magnetic resistance or an air flow resistance. Most have magnetic resistances, which might become inaccurate with time. But the high-end products available combine these two features for a proficient resistance and really well-adjusted workouts. This feature is essential too, for those who have a timeline to reach their fitness goal or for those who want to be really precise about how they do that. So, in terms of customisation, you first need to make sure the rower fits your body size, in terms of weight and height. Secondly, you want to make sure you can input your weight and age, that you can get readings of things like pace, time, distance or heart rate. If it has some pre-programmed workouts that take your pulse into account too, you’ve won the customization jackpot. We’ll discuss the best rowing machines below in terms of their specifications and purpose. We’ll also list some pros and cons at the end of each review, and hopefully, that will help you make a more informed choice. The Model D is definitely a piece of equipment for gym enthusiasts who don’t have time to get there. 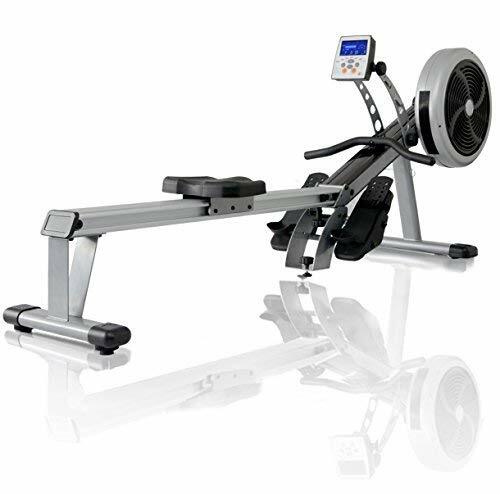 It is the best-selling rowing machine worldwide. 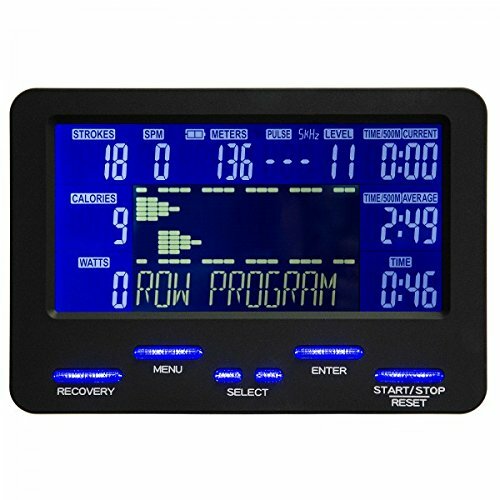 You can see that reflected in its high-end price, so you can take our word for it that it’s one of the best indoor rowing machines. You can use it to train your whole body, and you’ll get very precise info about how you’re training thanks to the Performance Monitor 5. In fact, this monitor can get you accurate readings of calories burnt, your pace, your heart rate, and it’s even USB compatible as well as Bluetooth-smart, not to mention it has an easy-to-read backlit display. 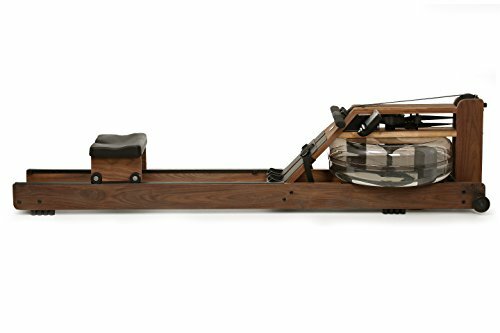 The low-impact workouts you’ll have courtesy of this rower will challenge and relax you at the same time, especially since the flywheel is designed to reduce noise. That means your movements will flow very smoothly, so you can concentrate on your workout. The seat height is a very comfortable 35.5 cm, and the footrests are adjustable for extra-comfort, but the handle is probably the feature that wins our ergonomic first prize. The nickel-plated chain is quite resistant, and the spiral damper is great for making your workouts harder or easier. With its two-piece construction, you can store the Model D quite easily, particularly since the frame lock is the quick-release type, and its caster wheels turn this machinery into a very mobile device. There’s also some assembly required, but this doesn’t take very long and the instructions are really detailed. So what can possibly be the downsides of such a durable, stylish, high-performing machine? Well, apart from the spicy price, it’s also quite bulky. So even if it’s easy to store, it still won’t fit narrow places such as under your bed. With the JTX Freedom, we’ve brought you right in the middle of the price pool. 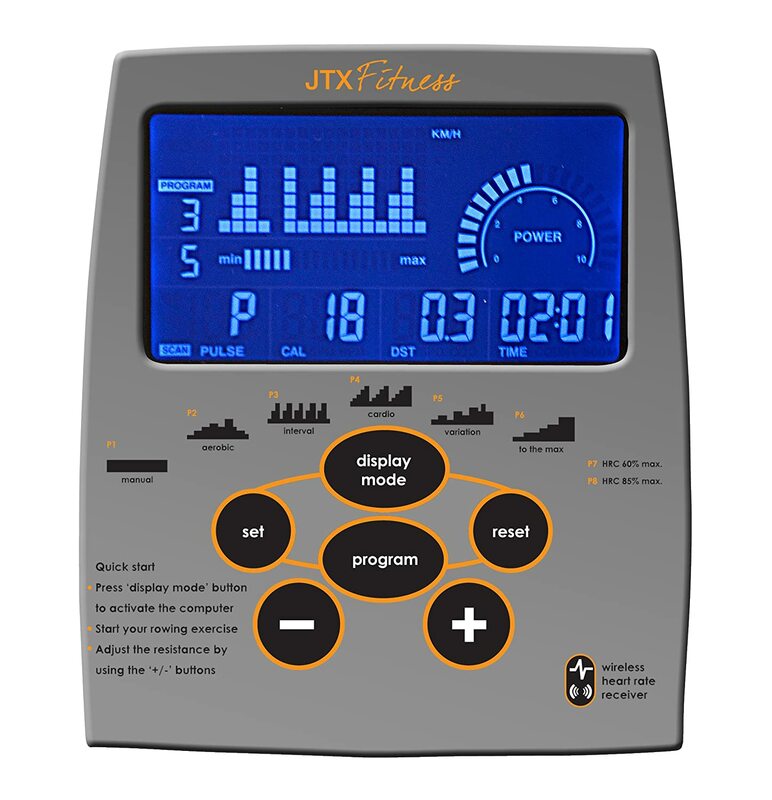 It has 16 resistance levels which will give you the chance to customize your workouts according to your fitness level. It’s heavier than the Concept 2 machine above. However, it’s foldable, so that’s great for saving space when you store it. The reinforced aluminum rail and the JTX MotionRail system are quite sturdy, so the max user weight is about 130 kg. But the thing we love about it the most is its DualTorque system for maximizing your workouts. This combines both the air flow and the electromagnetic resistance to give you those 16 different levels of resistance. It also has 8 pre-programmed workouts, so you can choose your training style. This machine has a built-in computer to track stats like your speed, time, and distance, but there’s also the option to measure your heart rate. In that regard, with the included chest strap, the JTX Freedom resembles Model D more, particularly in what accuracy is concerned. The foot holders are quite big though, and this machine doesn’t allow you to create a user profile, with pre-set data like your age and weight for more accurate data interpretation. The setup takes quite a lot of time, but the instructions are very good, so at least it’s not an annoying process. 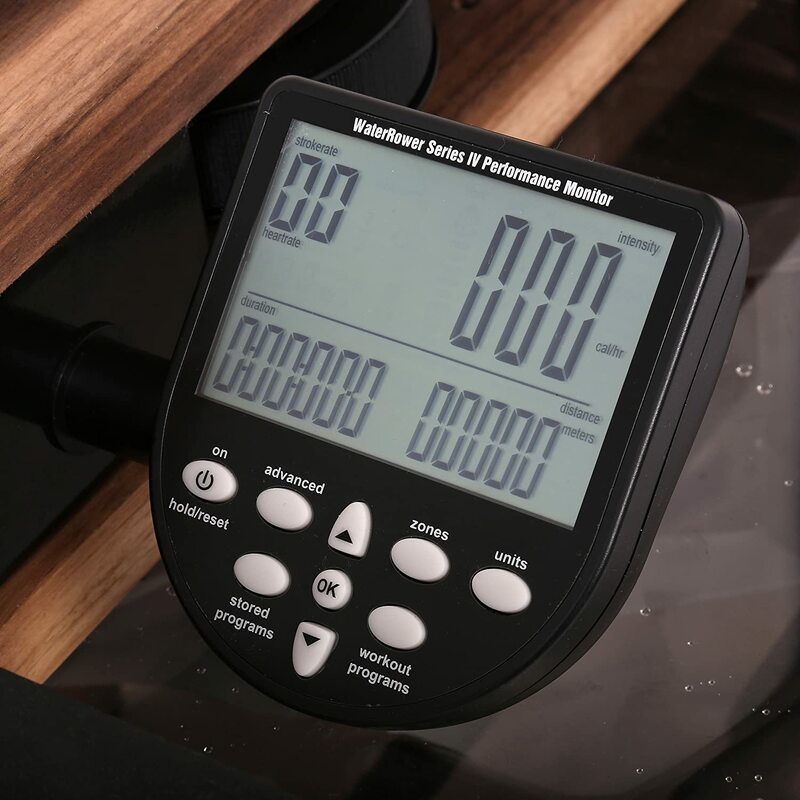 So from the middle of the price pool, we hop beyond it completely because this WaterRower machine is the most expensive in our rowing machine reviews, though with a set of amazing particular characteristics. For instance, it goes beyond the whole concept of resistance levels, seeing as it has a self-regulating resistance, which is just like what happens in reality when you’re out rowing, and which is amazing for muscle building. The assembly is fast and easy, just like the Concept 2 Model D, but this machine has some included tools. The LCD S4 monitor is on par with the Performance Monitor 5 featured by the Model D, so you’ll get stellar accuracy with all the measurements, including the heart rate. We love that this product comes with its own chest strap, but remember you still need the heart rate receiver and transmitter. The max user weight of 350 kg is another plus here, and that can be explained by the Black American Walnut wood manufacturing. Besides, you have to admit, it looks incredibly stylish in a vintage sort of way. And the flywheel is water-resistant, how about that? We love the smoothness of this machine too, thanks to the dual seat supporting rails. And you can actually adjust the foot height for increased comfort and a better grip while you’re rowing. The guide wheels are really great for transportation purposes, but this is a big machine, just like its expensive counterpart, the Model D. And with a 5-year warranty for the frame and 3 years for the parts, you’re definitely getting a durable product. Just like the JTX Freedom, the Infiniti R100 has a retail price that’s in the middle range, but it features some different specs. For instance, it has 42 workout programs, meaning it’s customizable to the max. Four of these are pulse-controlled and take into account your heart rate, while one is a race program for mad intensity lovers. However, speaking of the computer, this is not as high-quality as that of Concept 2. For instance, the splits measurements are slower, and you’ll have to put in quite some work to row 500 m, in intervals of sub 2 minutes. Besides, it doesn’t store data from your previous workouts, so you can’t keep a mathematical track of your improvements. The resistance system is air magnetic and auto-controlled, so it’s not quite as proficient as the DualTorque offered by the JTX Freedom, but it also offers 16 levels of resistance. And remember how you said you can’t set up a user profile for the JTX Freedom? Well, with this one you can set 5 user profiles, so even Grandma can squeeze in a workout. The frame is very strong and stable, and we love the full stroke design for very tall people. It’s also a foldable machinery, and the whole thing is very quiet. 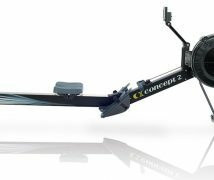 After reviewing all these items, you can see we’ve selected some of the best home rowing machines. There’s one for every purpose, so we’re confident you can find a great rower among our reviews. But even if you don’t, our buying guide should give you an idea on how to choose one that’s right for you. That said, which rower would you get? 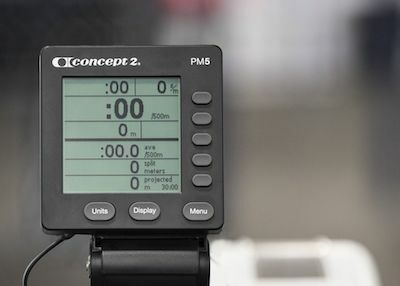 What’s the most important factor you want to see in a rower?